Wisconsin Cheese Mart has grown from a small retail storefront to the online destination for purchasing artisan cheeses in all 50 states. 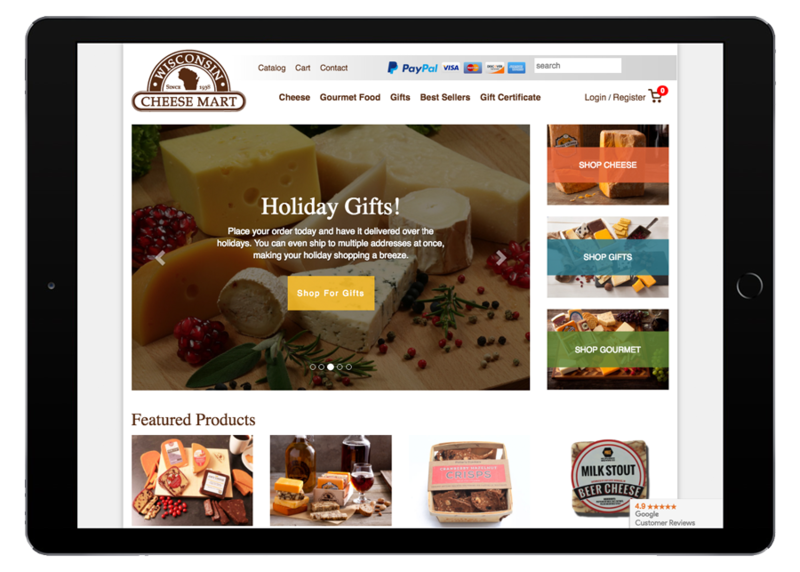 To continue this growth, Wisconsin Cheese Mart was seeking a partner to help manage their paid search campaigns to generate traffic and increase sales. Starkmedia was able to provide strategy and implementation of a paid search campaign over the holiday season. Under our management, the business was able to increase sales year-over-year, utilize their spend more efficiently, target new audiences, and gain valuable keyword and visitor insights from campaign data.